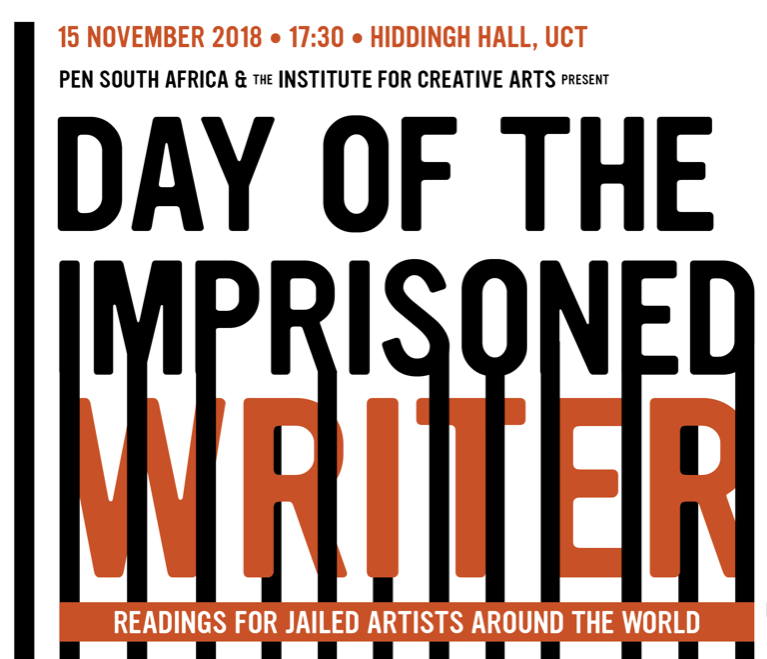 One of the most important dates on PEN’s international calendar, PEN South Africa and the Institute for Creative Arts – ICA are hosting a Day of the Imprisoned Writer Event on Thursday 15 November. 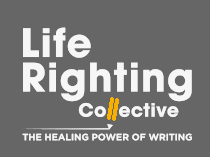 It promises to be an engaging and meaningful evening, featuring some of South Africa’s most prominent writers. Confirmed already are Yewande Omotoso, Wamuwi Mbao and Rustum Kozain. 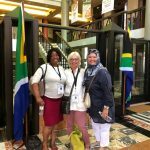 The event takes place at Hiddingh Hall, Hiddingh Campus, University of Cape Town. Entry and refreshments are free. Doors open at 17:30, and the event begins at 18:00. Please RSVP to ica@uct.ac.za. For those who have difficulties with transport, PEN SA are willing to book transport from town after the event to take attendees home to Athlone, Nyanga, Langa, Gugulethu and Khayelitsha. Please contact Khanya Mncwabe communications@pensouthafrica.co.za to make arrangements.